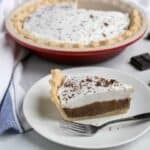 A delicious dairy free low carb chocolate pie topped with sweetened whipped coconut cream that’s been stabilized. The crust is almond flour based. I thought I’d try a dairy free pie recipe using a basic egg free almond flour pie crust. Egg whites and milk based products can aggravate autoimmune conditions like my Graves disease. 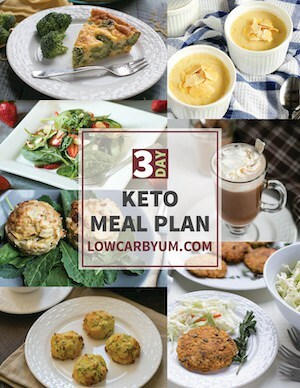 It’s been hard for me to give up dairy so I’ve been working on more recipes without it. The problem is that dairy is highly inflammatory mainly due to the A1 casein. That’s why A2 casein based milk is becoming more popular. This dairy free low carb chocolate pie came out much better than expected. The filling was a little soft, but I wanted it to remain creamy so I didn’t add any gelatin which may have made it too firm. I did add in grass-fed gelatin to the topping. It made the coconut cream stiffer and more like a meringue. You’ll want to make a low carb pie crust first. I opted to use almond flour, but you can use a mix of almond and coconut flour like the one used for my sugar free coconut cream pie. A cooked chocolate custard is then made for the filling. And stabilized coconut cream is used for the topping. 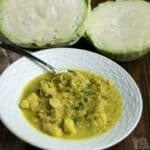 You’ll want to chill a can of coconut cream and a mixing bowl overnight in the refrigerator before starting. If you can’t find unsweetened canned coconut cream, you can use the solid part of chilled coconut milk instead. 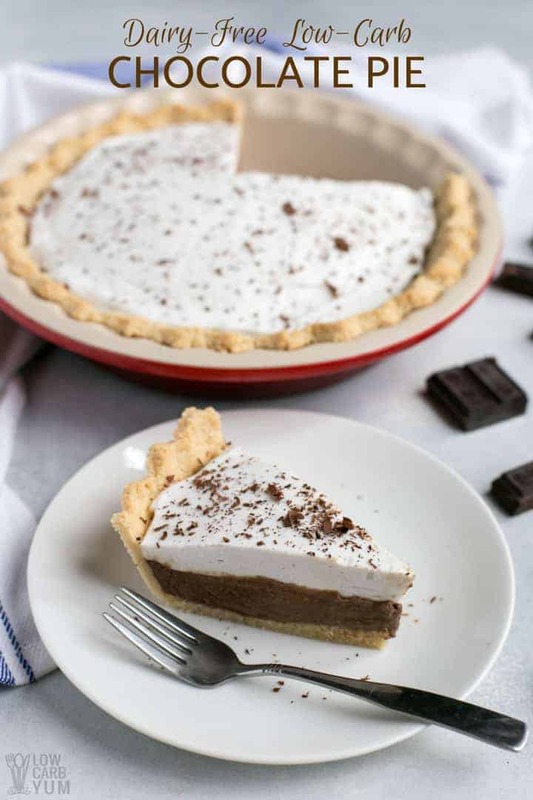 The whipped coconut cream is then spread evenly over the filling to complete the dairy free low carb chocolate pie. 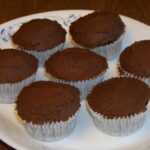 (photos 17 and 18) To dress it up, I like to sprinkle on some shaving baking chocolate. The non-dairy whipped cream topping was perfect and it stayed that way for over a week. Adding gelatin to the whipped coconut cream helps to stabilize it so it doesn’t go flat. I found the topping to be similar to meringue rather than a soft whipped cream that I’ve used on other pies. 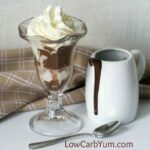 My creamy keto chocolate pudding recipe was used as the inspiration for the pie filling. 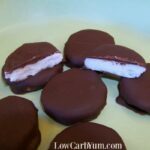 I tested a few filling recipes and found that xanthan gum resulted in a creamier filling than those thickened with gelatin. I thought about using glucomannan powder instead, but my experience with the konjac root thickener shows it to also make things too firm. So, that’s why I opted to use xanthan gum as the thickener. 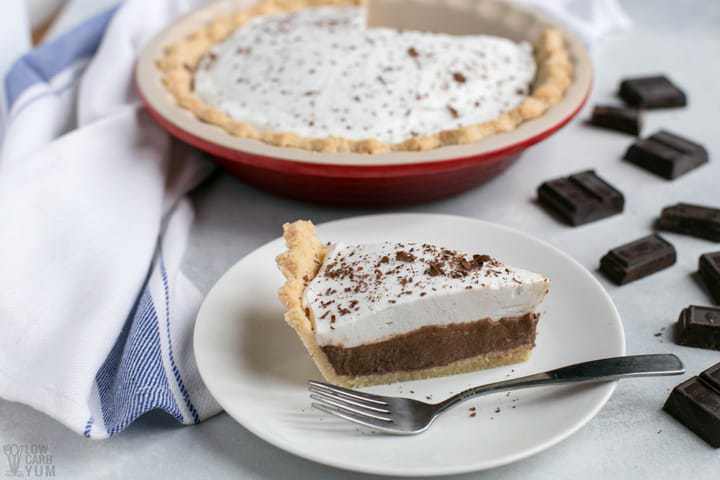 Since egg whites bother me, it wasn’t an issue to add just the yolks to the filling for this dairy free chocolate pie. Yolks are where all the nutrients are anyway. I just toss the whites as I’m sensitive to them. 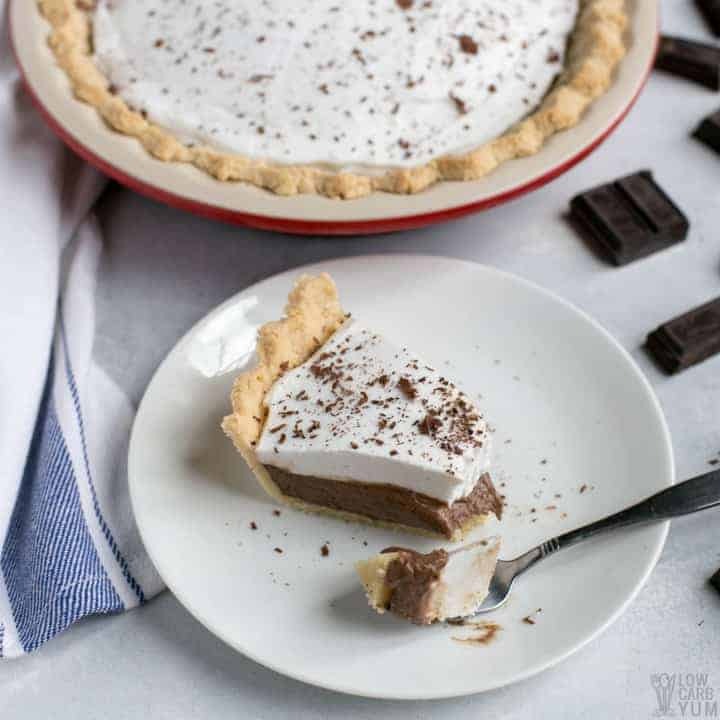 This delicious dairy free low carb chocolate pie recipe is perfect to share during the holidays. But it’s also a simple treat that can be enjoyed year round. And it’s perfect for anyone avoiding gluten, dairy, and egg whites which are some of the top inflammatory foods to avoid! I loved this pie so much, I’ll be making it regularly. 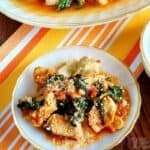 If you make this recipe, I’d love to know what you think in the comments. 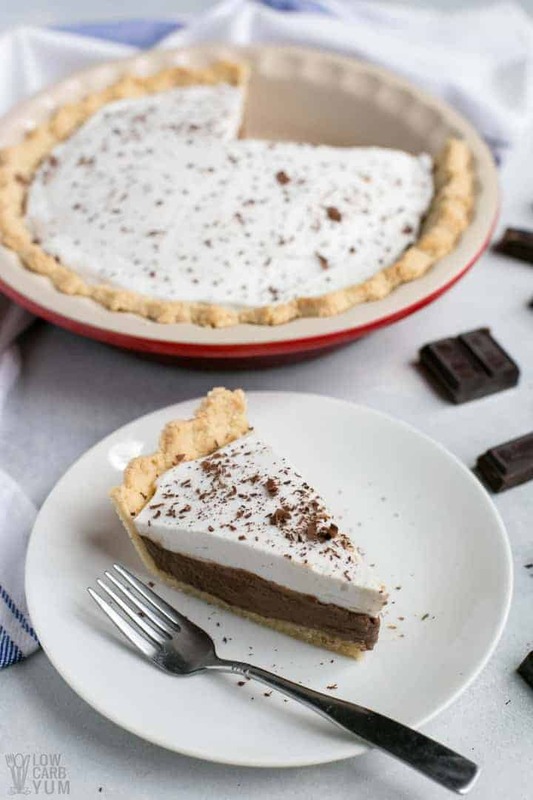 A delicious dairy free and sugar free chocolate cream pie. The crust is made with almond flour and the top is a stabilized coconut cream. Heat coconut milk until hot, but not boiling. Meanwhile, beat egg yolks in a small bowl with fork until blended. When coconut milk is hot, slowly add about 1/4 cup to egg yolks, whisking quickly with the fork. Reduce heat to low then sprinkle in low carb sweetener and xanthan gum. Add baking chocolate and stir until melted. Remove from heat then stir in vanilla extract and salt. Spoon into medium bowl and cover with plastic wrap to prevent a skin forming. Place in refrigerator for at least 4 hours. Soften gelatin in lukewarm water. 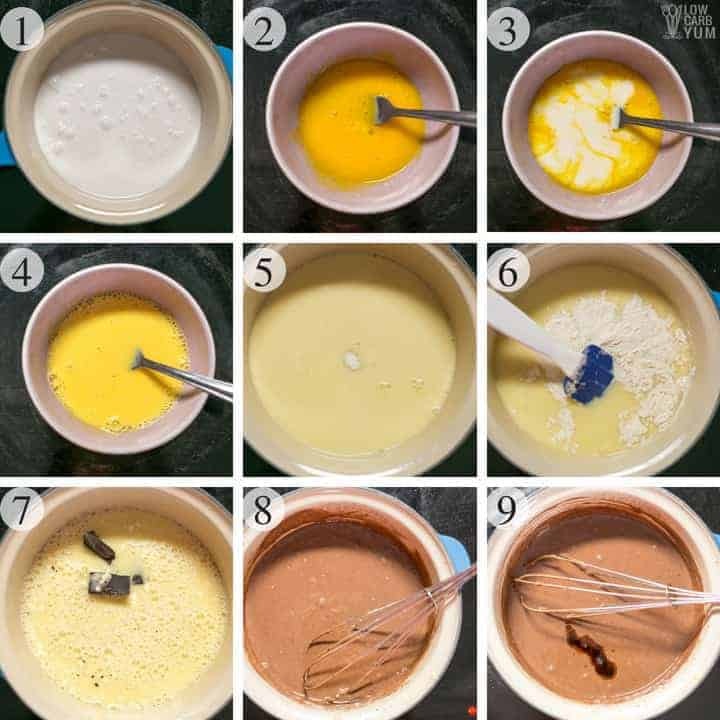 Whisk in hot water until gelatin is completely dissolved. In chilled mixing bowl, whip the chilled coconut cream until fluffy. Slowly add the gelatin water, stevia and vanilla extract to the cream. Continue whipping until soft peaks form. 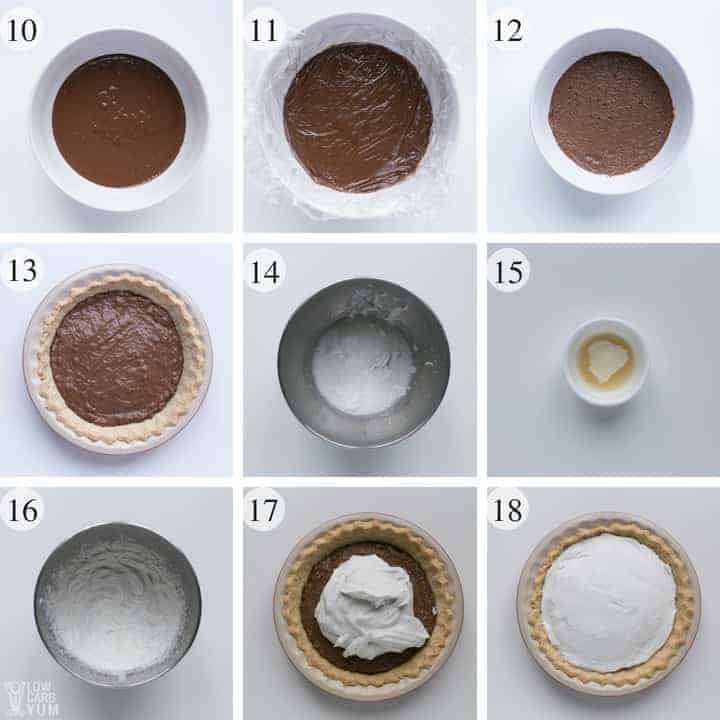 Spread chilled chocolate pie filling into crust. Cover filling evenly with whipped coconut cream mixture. 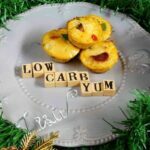 Nutritional data is based on cutting pie into 10 even slices with each slice having about 6g net carbs. If you can't find unsweetened coconut cream, you can chill a can of coconut milk to separate the coconut cream from the liquid. The solid part of the chilled coconut milk is the cream that can be whipped. I made this and it thickened beautifully, but I found it to be oily and the chocolate filling wasnt smooth. Also, it wasnt very sweet. My whipped cream was sweeter than the filling. 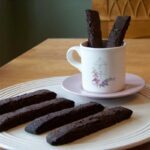 If you are looking for that classicly smooth french silk type filling, this comes close but I think it might need some tweaking. While I can appreciate all of the “Wow, this looks good” comments, I really prefer to hear from the people who actually made it to compare notes. Did anyone else have this experience? I do have some ideas on getting it smoother, but it may not hold up as well. Likely, the gelatin needs to be reduced or incorporated differently. One more quick questions… will xylosweet work with the stevia or should I leave stevia out? I got confused when it said on the bag a cup for cup measurement in sugar. Thank you for all your help! Xylosweet works well with stevia. You may want to start light on the sweeteners and taste test to get right amount. Thank you! I have noticed swerve crystalizing when I put things in the fridge. This look so good! You’re welcome. I had forgotten about the crystallizing, but recently made some chocolate mousse with Swerve and it was crunchy. I think I may have added too much. Adding too much Swerve can also result in crystallizing. It’s kind of a trial and error to get the right mixture of stevia and Swerve so it is sweet enough without getting gritty. And the powdered Swerve seems to crystallize less. 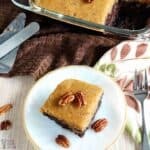 I am planning on making this for thanksgiving, do you know the measurements for sweetener if your using swerve? Swerve can be substituted one for one in place of erythritol and xylitol. I do not recommend too much erythritol or Swerve in the filling as it tends to crystallize in chocolate, but powdered Swerve may work. 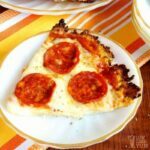 If using all Swerve, the crust would be about 2 tablespoons, a little over a cup for filling and about 1/4 cup for topping. This pie looks amazing! Mmmmmm, I love chocolate! Is it necessary to use powdered xylitol for the filling? Is powdered erythritol okay? 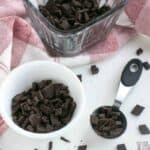 Powdered erythritol can be used, but I find it can crystallize in this recipe so I don’t recommend using anything with erythritol. About 3/4 teaspoon of stevia extract powder should be okay but I haven’t tested it in this filling recipe. Gelatin is optional. I’ve made it both ways and prefer it without. It will be very firm if you include one package (about 2 teaspoons) gelatin. In the pie filling ingredients list, no mention of gelatin, but in the instructions there is. So would like to know…is there or isn’t there gelatin in the filling. 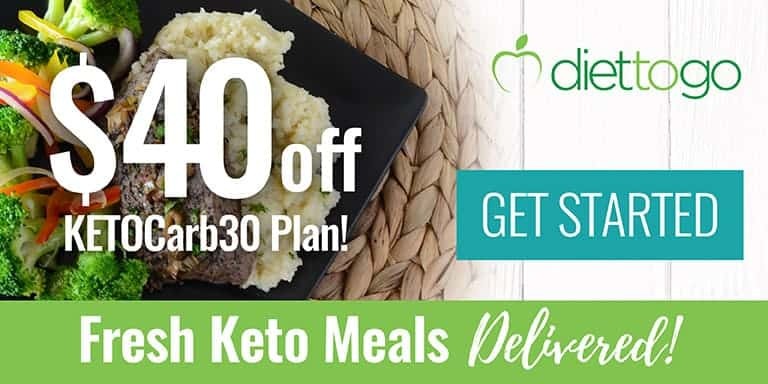 Low carbs sounds good to me !